The book is about beginnings—beginnings of the major powers of Dune. The title is somewhat deceptive. Though it does explore the Bene Gesserit's beginnings (here called The Sisterhood) and the 1st Reverent Mothers, it gives almost equal time to the beginnings of the Mentats, the Suk doctors and hints about imperial conditioning, the Emperium, The Laandstrad, the Thulaxu, The Navigators, the Fremen and Spice Mining, the Atreides-Harkonnan feud... All of these join in this nexus and I can imagine each being explored in more depth in further novels. It is quite an exciting prospect. Further, the book is about the Butlerian Jihad, not against the Thinking Machines, they're dead and gone, but against humans who would use any technology to enhance their lives. In exploring this thing, the authors create a scathing polemic against the forces of fundamentalism, conservatism and theocracy that plague our own civilization today. They show that exploring the future can be like exploring the past, that humans will always be doomed to destruction and chaos by the righteous. Sign into Goodreads to see if any of your friends have read Sisterhood of Dune. 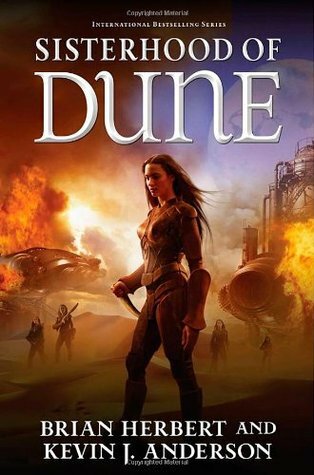 I am about to read Dune (and hope to actually finish the series, for once) for the third time and hope to continue on with the other "add-on" books. Great review.